← Small Batch Crispy Rice Birds Nest Treats Recipe! 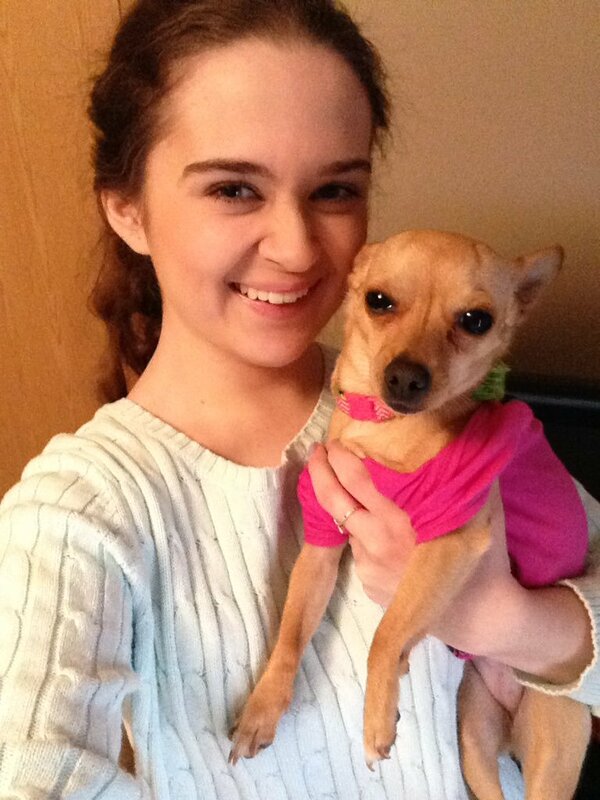 My chihuahua Piper is such a blessing to me! I am always looking for new toys for her to play with, new outfits for her to wear, and new foods/treats for her to try. Unfortunately, a lot of dog food companies are filling their products with questionable, unpronounceable ingredients. Today, I’m super pumped to be working with a brand that goes the extra mile in providing wholesome, quality treats for our four legged friends — Farm Hounds Treats. “For the last 15 years, Farm Hounds has been a small company focused on dogs. From health to happiness, their business decisions have always grown from what is best for their (and our) animal companions. They started their first small business in the dog care industry, owning and operating a large dog boarding and daycare facility in Atlanta. They began offering a curated selection of foods, treats and accessories for their customers based on their own personal research of what they would want for their own pack and they loved it! I was sent a variety of Turkey Jerky, Chicken Gizzards, Beef Liver, and Duck Treats! These are all made with meat that is certified humane and pasture raised. There are no chemicals or antibiotics EVER used in Farm Hounds Treats! You can tell by looking at them that they are made with as few ingredients as possible; which I immensely appreciate as a dog owner! This brand offer a wide variety of treats, chews, and rawhide for canines of all sizes! Be it a 9 pound Chihuahua or a 99 pound Bernese Mountain Dog, I’ sure this brand has a treat just for your pup! Thanks to Farm Hounds Treats for the opportunity to let my doggy try (and review) your treats! Check out all they have to offer and learn more about the brand on their website! ONE lucky US reader will receive ONE small prize pack of Farm Hounds Treats. Please use the blue link above to enter. This giveaway will run from April 2, 2019 – April 16, 2019. Disclaimer: I received these products in exchange for my honest review. That does not influence my opinion whatsoever. My dogs would love the pork jerky. My 3 dogs would love all the flavors, but I would choose the beef flavor first. My dogs would love to try the Chicken Jerky treats. My dog, Zunebug, would love the beef liver flavor! My dog would love the chicken jerky. I would pick the beef jerky. Roxy is not very picky but I think she would enjoy the beef or chicken jerky. My Luna would love beef liver.